The Brewery have completed work on a two and a half minute promo film for Tiger Beer. The film was directed by Rohan Blair-Mangat and produced by stink. It features football star Deco and a team of street footballers playing a game amongst the rubble of a demolished stadium. The Brewery was hired to supervise the shoot, provide all vfx and complete the online edit. The shoot took place in Shanghai with the Brewery attending to give vfx supervision. 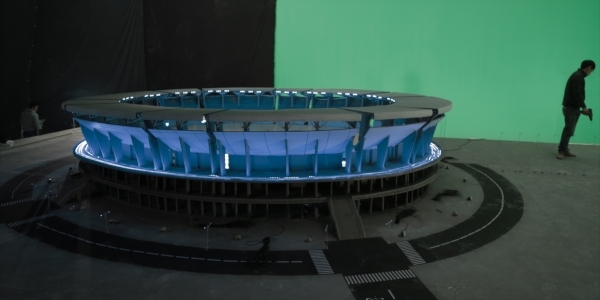 A miniature stadium was built against a green screen and demolished using a sequence of explosive charges. The Phantom Flex high speed camera was used shooting at 600 frames per second. To help speed up the shoot and realise the director’s vision, the Brewery provided pre-visulation to calculate required light and camera angles. 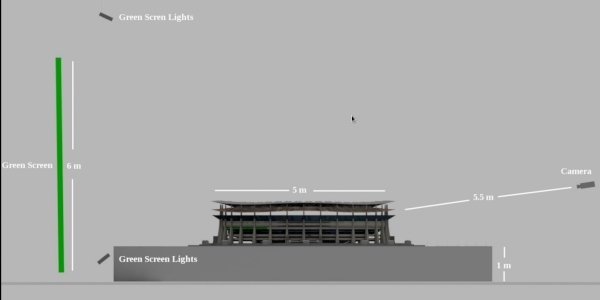 High dynamic range images were captured to make a record of the lighting conditions that would later aid the integration of cg elements in the shots. The central element of our work was providing the backdrop for the stadium demolition. The scene was designed to have the look of an Asian metropolis. We used a combination of computer generated and photographic elements to create the cityscape. 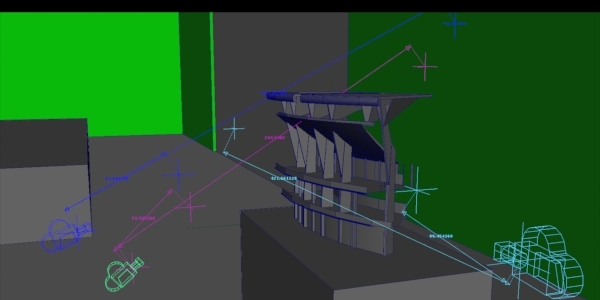 Additional dust and debris was simulated in Autodesk Maya, whilst elements of the stadiums fencing were replaced or augmented to help with the stadium’s perceived scale. For the later part of the film the Brewery provided wire clean up and added additional background elements. City lights were tracked in and photography from the miniature shoot was used to digitally expand the set. One enjoyable moment for us was augmenting a goal shot with a new cg ball to add extra bit of excitement in the closing scenes. Additionally the online edit was managed by the Brewery as it gave the director freedom to alter shots and have them back in an edit the same day.